Catherine and I landed in Des Moines at 2:00 and by 3:30 we had gotten our car, checked into the hotel/casino, and driven to the fair! Despite signs to the contrary, we did find parking in a far lot. We got a ride in a go cart driven by a Shriners volunteer to the fair gate. 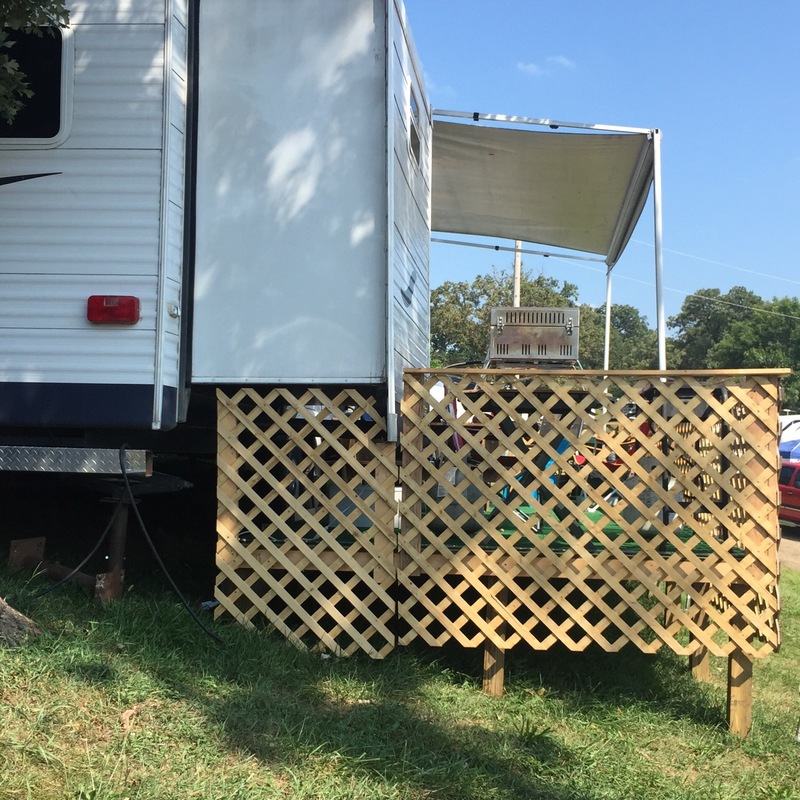 On the way, he gave us a tour of the ‘village’ of mobile homes and campers that are outside the gate. Amazing! 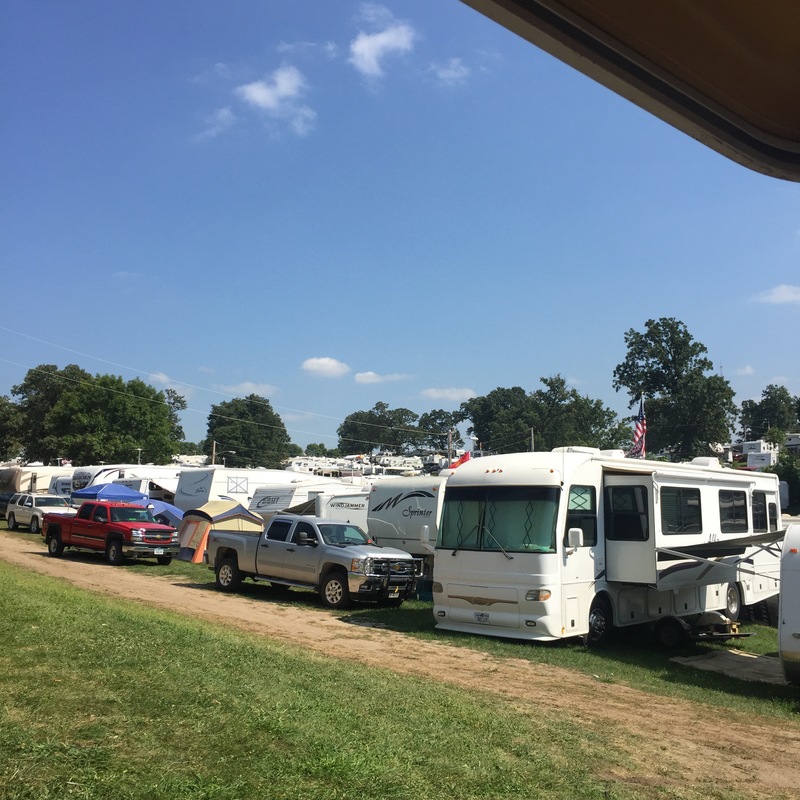 People stay here for the length of the fair and spots are passed down from generation to generation. And they can get elaborate. Many have decks! We saw all kinds of things and I should have taken more photos. 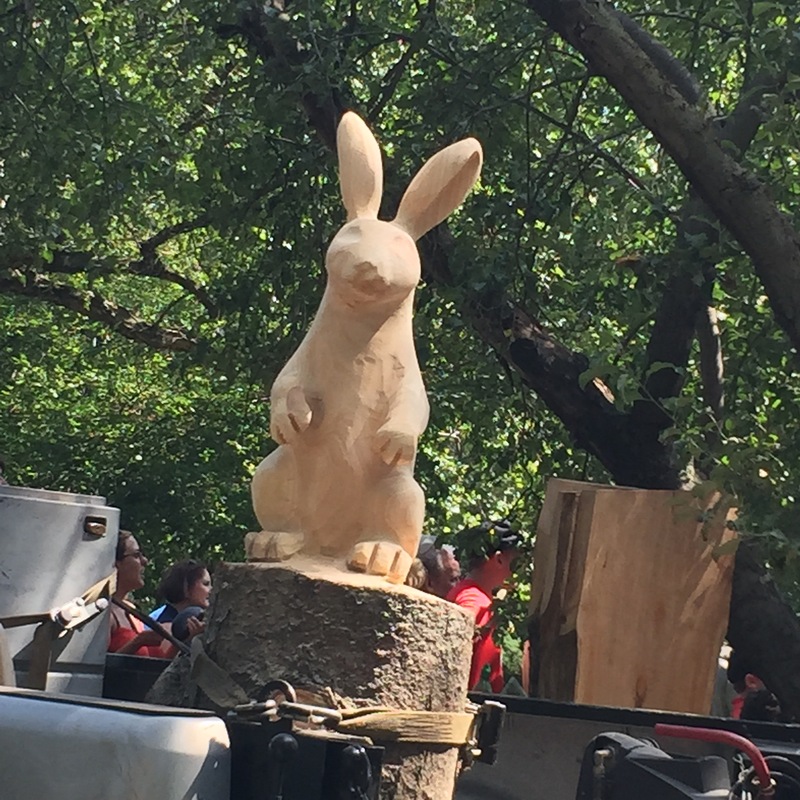 This rabbit was sculpted with a chain saw. Nice! There were big crowds. Donald Trump was here somewhere and we thankfully missed him, as well as any other politician who might have been here. 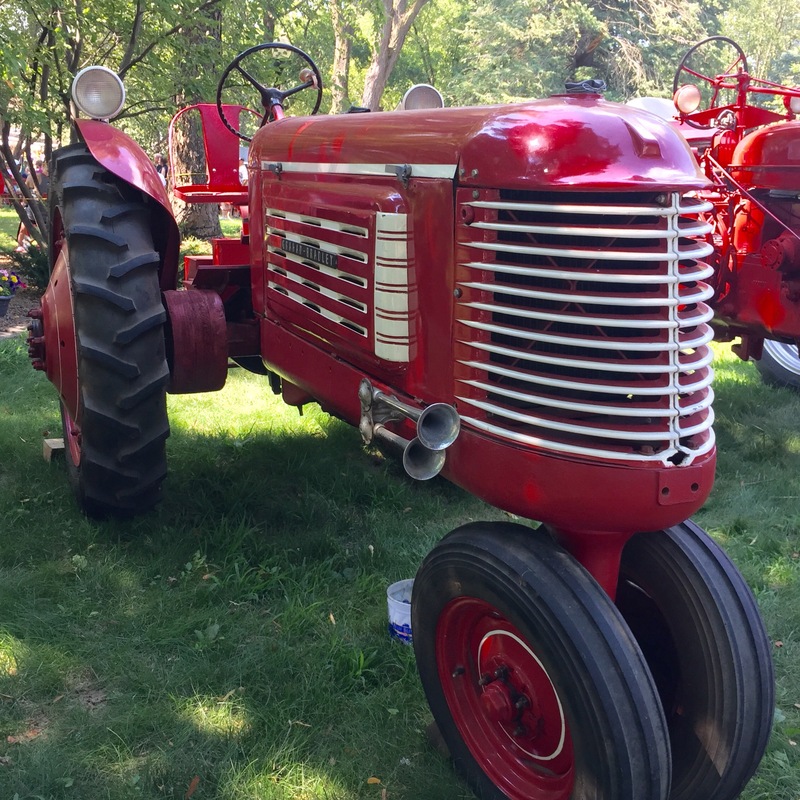 We saw antique tractors. This one was especially nice. There was a massive sand sculpture that was nearly finished. We saw the butter cow too, but I didn’t take a photo. Image a cow, but yellow. That’s what it looked like. There was more food than I’ve ever seen at a fair. 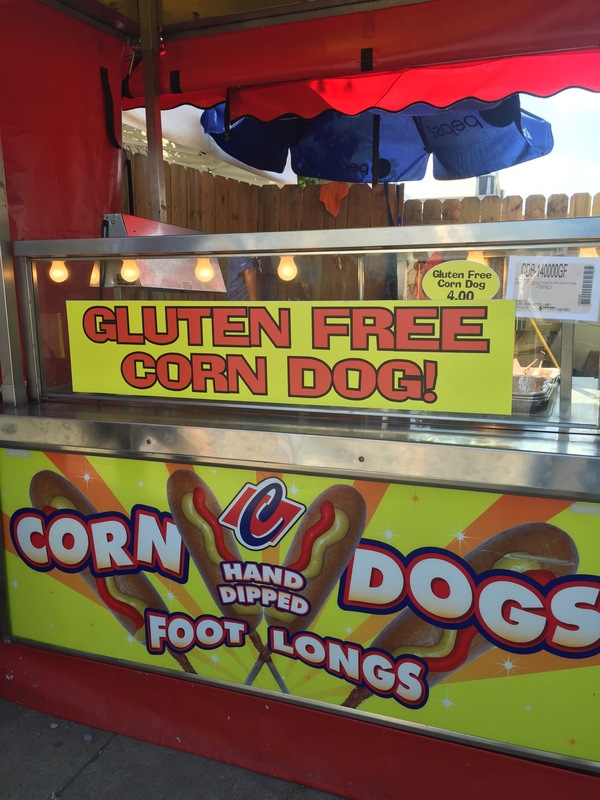 I did find a gluten free offering, yay! And I came back with a Carmel Apple. Life is good. 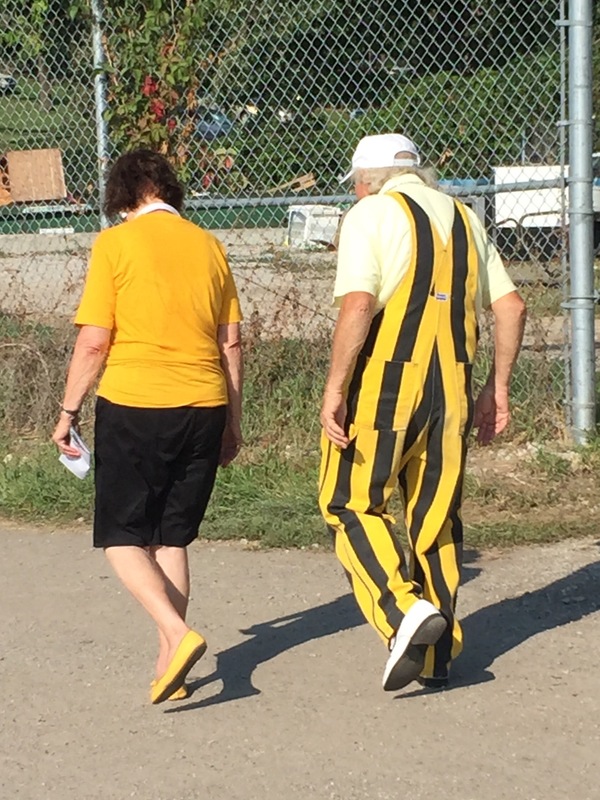 On the way out to the car, we spotted this fine couple. You know that they must have had a good time at the fair, too. This is the best state fair I’ve ever been too. It was so nice to get to go, if only for a little while. We always Love going to the Iowa State fair. We lived in Ankeny for 17 years and never missed it! Did you get to see Hillary or the Donald? Sounds like you had a great time! 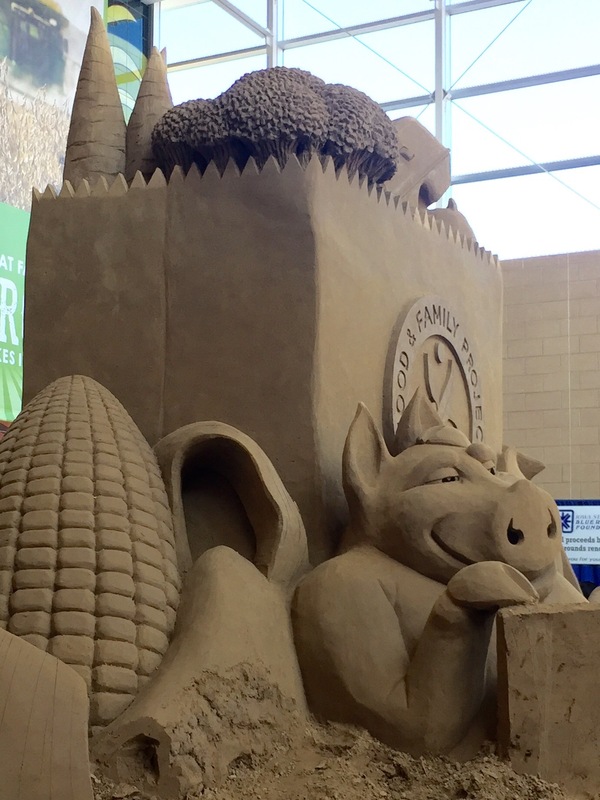 I’m quite impressed by the sand sculpture! & I like the antique tractor too! 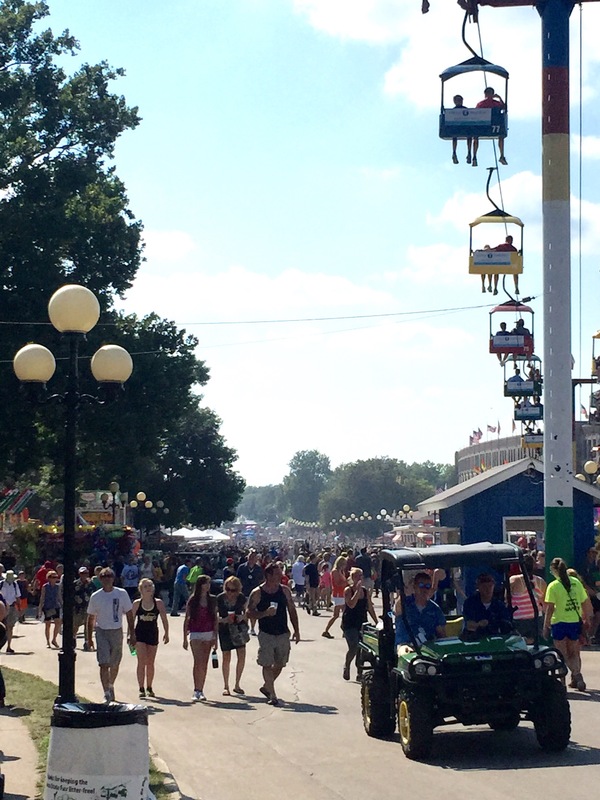 It might have been the “little while” that made this the best state fair. It is a fun event! When we lived near Chicago, we drove there one Summer. We thought the fair was great and enjoyed the people too, who seemed so amazed that we would drive from Chicago! I hope you noticed everything “on sticks”. ;- D There is so much to see and do and eat. I had some amazing ice cream! I’ve never had any ice cream so delicious at a fair.